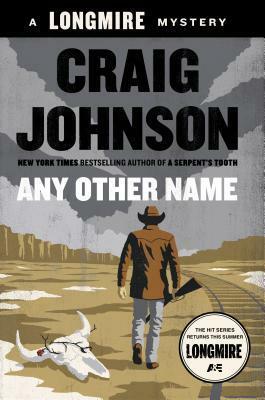 Having just finished the latest Walt Longmire novel by Craig Johnson, Any Other Name, I’m again left with the usual set of mixed emotions. Totally satisfied with another splendid crime mystery tale involving the Sheriff of Absaroka County, Wyoming. Bummed, too, that I’ve finished it (maybe devoured would say it better) and have to wait till the next arrives. I recommend reading the book review by my dear friend Jen Forbus, who not only introduced me to the man’s novels, but to the author himself a few years back. If the name Walt Longmire rings a bell for you, it’s likely because of the A&E cable series, Longmire, about to open its third season this June. Catching either Walt on text or the small screen, is well worth the visit, I must say. Reprise » Favorite Books of L.A.